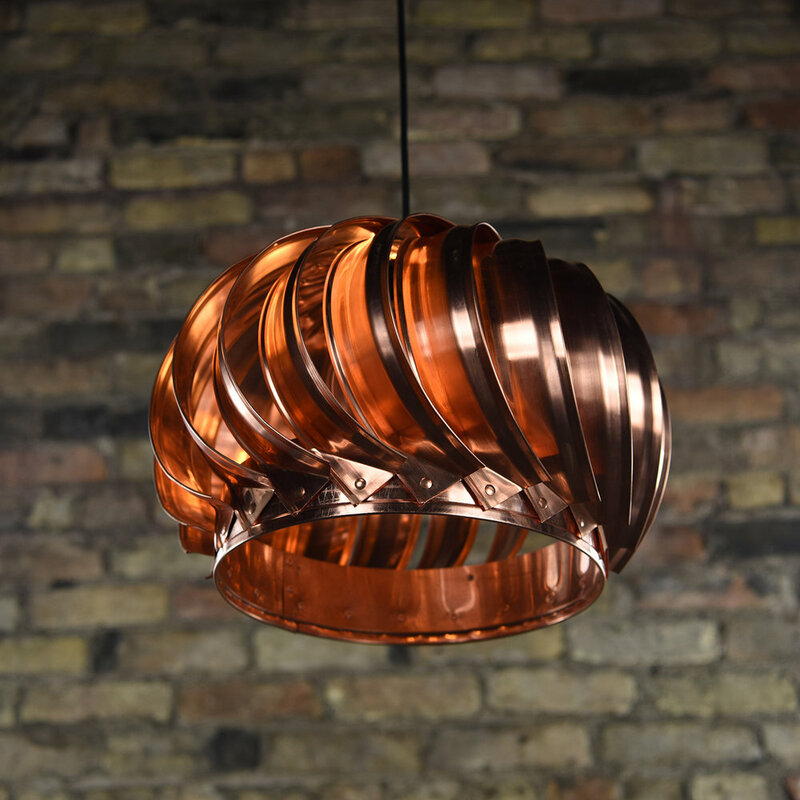 This solid copper turbine has been repurposed and given a new identity as an industrial pendant. All pendants are made to order. Please allow 2-3 weeks for delivery.